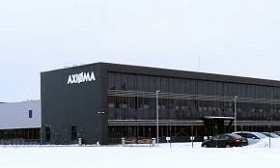 Axioma Metering, a company of the Icor Group, opened a 15-mln-euro water and heat metering device production facility in the Kaunas free economic area on Friday, with plans to invest another 20 mln euros in a second factory n an adjacent site within three years, informed LETA/BNS. "The factory was launched with an annual production capacity of 1 mln meters. We could increase it to 2 million," Axioma Metering CEO Ignas Vosylius said at a news conference. "A second facility would make it possible for us to manufacture another 2 mln (meters)," he added. Vosylius said the company plans to begin construction on a second factory next December or January, with plans to produce more than 2.2 mln meters in 2021 and become one of the world's top five ultrasonic meter manufacturers. Axioma Metering's customers include major Italian and British companies. The company will initially expand in Europe and North America, but it also has plans to offer its products to Asian and African markets in the future, the CEO said. The company exports about 70% of its products to Germany, Italy, Britain, Latvia, Ukraine and Belarus.